Website Design Energy Consultants | As a long time client, VISIONEFX originally preformed the web redesign for Enspire Energy website in 2005. During the energy crisis and the energy business model changed, Enspire returned to VISIONEFX to redesign their site from the ground up. The new site features custom infographs, full-screen design and is a mobile responsive design. 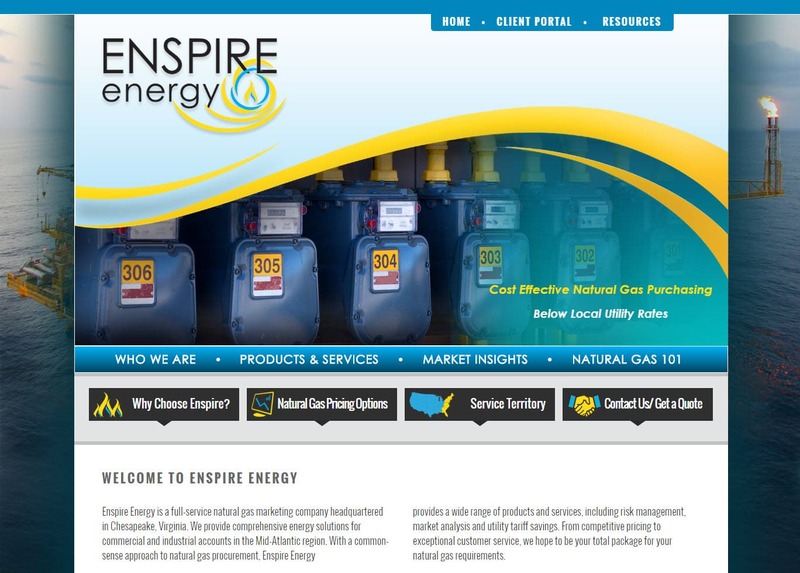 This is the 2nd redesign for Enspire Energy since becoming a VISIONEFX client many years ago. Enspire Energy has offices located in Chesapeake, VA.